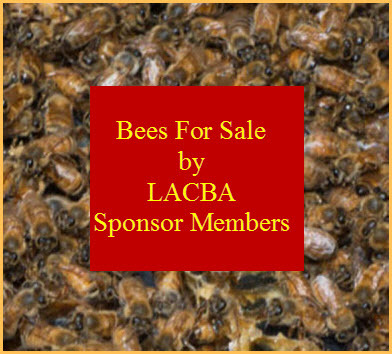 This evening, the Los Angeles County Beekeepers Association is pleased and honored to feature Kodua Galieti, Photo Journalist, Beekeeper, LACBA member and her latest adventures "Beekeeping in Israel" at our next LACBA meeting (Monday, April 1, 2013, Doors Open: 7pm / Meeting Starts: 7:30pm). Read the latest article on Kodua Galieti in Organic Connections Magazine. 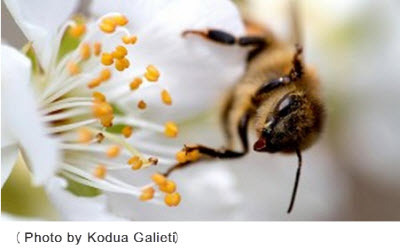 At a certain point in her life, photojournalist Kodua Galieti became enchanted with honeybees and added two hives to her organic garden. But as she began working with the bees, her photographer’s eye took her much closer: with macro photography, she began documenting—up close and personal—the wonder of life that creates so much life elsewhere. Galieti began showing off her photographs at conferences and gatherings of beekeepers and enthusiasts—and found that many of them had no idea what they were working with every day. 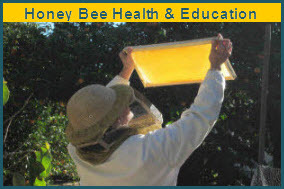 “Most beekeepers don’t look at bees through a macro lens,” Galieti says. “They’re just doing their jobs, tending the bees. So to be able to bring this little creature into such magnification for them has been amazing. For more information, visit www.koduaphotography.com.